I have an Orange head, had it for years. Bought it from my brother in law in the earlt 90's for hardly any money. It has tone to die for, no second channel, no seperate gain. The model number is GRO100, with the serial being 655. Both the model and the serial look as if they were scratched on with a screwdriver! 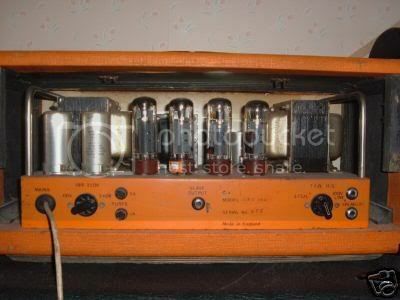 If anyone could tell me more about this amp I'd be grateful.